A tip of the hat to my friend and one-time HP colleague Vince Ferraro over at the LaserJet blog for his acknowledgement of, and comments on(see "Tips for Printing Less") the column by Dan Costa, "Three Steps to a Paperless Office", over at PC Magazine. I enjoyed Vince's HP perspective on what I would call "sensible printing", i.e. let's not get crazy and avoid it altogether, but let's think a little bit about when print (vs viewing) makes sense. And I appreciate Dan's view on the history of "overkill" printing, as he tracks back to copiers and network printers, and I also like his three steps, parts of each my regulars will have read about here. Step 1 includes the "meme" about not printing email, that I blogged about just a couple of weeks ago (see "Please Consider The Environment"), and Step 2 mentions GreenPrint, an oft-mentioned product/company in this space including their recent Download.com version. (See "GreenPrint World now on Download.com".) By the way, since that early February post, the number of downloads has tripled, from a little over 12,000 to 37,999. That will be an interesting stat to continue to follow. Costa's Step 3 advises on the use of PDF and Microsoft Office attachments, again practice I've followed and observed. In fact, my recent favorite has been noting how in my experience around higher education these days, a "paper" has become somewhat of a euphemism. It's probably not just "the season" as the saying goes, but a few "green" oriented pieces caught my eye this week and I believe they are worth noting. First, HP's (NYSE HPQ) Enterprise Printing blog, having been fairly dormant over the winter, has "greened up" this week with two posts, first by Allison Graves and then by Mike Feldman. Allison's includes some of her "Thoughts on Greenwashing", covering potential backlash and miscommunication as an inevitable part of the Green effort, with her pledge to expand further on HP's real (and not greenwashed) environmental efforts, many that go quite a distance back into the company's long history. She's hit a chord too, it would appear, with numerous comments on her post already. Mike's "Eco:nomics - HP's Tips to Help the Environment and Your Bottom Line" includes a review of the sales "food chain", with HP's enterprise customers requesting and even demanding that all their suppliers (including HP) meet (already high and growing) standards in the various areas of environmental sustainability, with further comments how HP is responding. The residential Real Estate business has been unquestionably the most frequently targeted vertical markets for the printer industry's Small Business initiatives over the last few years (see "Real estate marketing made easy" from HP (NYSE HPQ), for an example.) The industry's printing needs -- particularly those ubiquitous sales pieces consisting of relatively short run, one- or two-page (duplex) flyers -- have been a great fit with the growing category of low-cost color (particularly laser) printers. 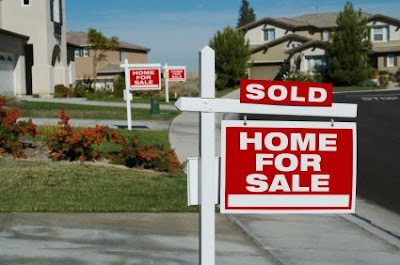 Most anyone in the market for a new home has been exposed to a plethora of these print pieces, whether as hand-outs during open houses or as take-aways from those mail-box-like containers that grace virtually every "For Sale" sign out there. And just when things may be looking up slightly for residential housing here comes this from TechCrunch and Michael Arrington. Although his piece "Computer vs Realtor: Computer Wins. Twice." really is about Redfin and their disintermediation of the buy-side agent, the bigger picture speaks to the overall long-term threat to this ultimate "small business" and their traditionally print-heavy practices. Actually, the love's source is not The Wall Street Journal, but the Canadian marketing team of Darren Barefoot and Julie Szabo, authors of a recent book entitled "Getting to First Base: A Social Media Marketing Playbook" and consultants to, among others, Brother (Canada). It's the WSJ's "Small Business" column and Shelly Banjo, though, who get the credit for publicizing the clever techniques used by Barefoot and Szabo, on behalf of Brother, in touting their latest color laser all-in-one printer (looks like MFC-9440CN or related model). Influential printer bloggers got colorful customized comic strips encouraging interest and comments on Brother's new product. 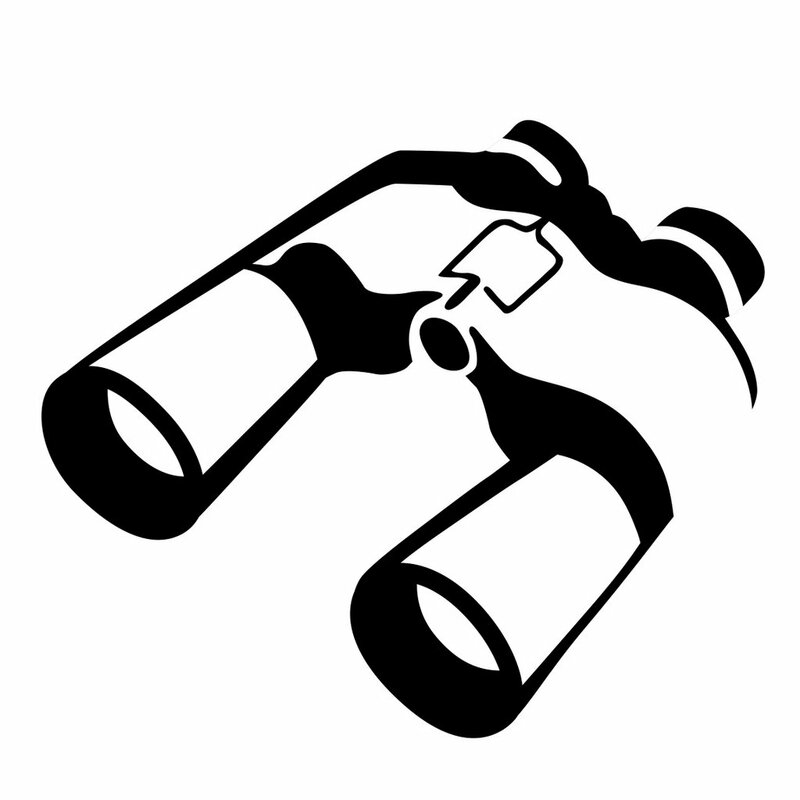 Check out the column, entitled "Attention, bloggers!". As regular readers of this blog will recognize, I get a little uncomfortable when the subject matter gets outside the realm of desktop (personal) and workgroup printing. Here I'm talking about production or commercial printing, for example, let alone some of today's far more esoteric printing applications. I ventured out, printer-application-wise, with my recent post on printing solar cells (see "Solar cell printing") and have occasionally at least mentioned the fields of electronics and 3D Printing (see "Looking back, looking forward"). So I'm going beyond the pale again this morning with the suggestion to look at ZDNet's Emerging Tech blog and its post by Roland Piquepaille entitled "Printing organs on demand". Piquepaille offers a great summary of bioprinting, and numerous links, including one to a web site entitled simply Organ Printing. Interesting to me is how the printing analogy not only relates directly to the technology and its "jetting" of materials other than ink, but the terminology holds through describing the entire process. The ZDNet post comes highly recommended! Well, a Google web search of the exact quote, "Please Consider the Environment before Printing this Email"*, yields a hit count of 974, mostly short articles and blog posts, with some of the oldest a little more than a year old. A far as trend-spotting goes, better late than never, I guess. I should just feel happy I got in on it before the search index hit four figures! *Interesting that a Google search substituting "E-mail" for "Email" yields 867 hits. I know the basic search ignores upper/lower case distinctions, and eliminates small common words (in this case "the" and "this"), but looks like hyphens are treated differently. Stay tuned! Today's the day that the Microsoft (NYSE MSFT) Windows Vista Service Pack 1 (SP1) becomes publicly available via a free download. So I grabbed it and upgraded my everyday laptop, the only one of my machines that's currently running Vista. Things seem fine, and, good news, the printing seems to work fine, at least as far as my testing went during an otherwise busy day -- meaning I was able to get a few pages out of my trusty HP (NYSE HPQ) LaserJet 1320 over my home-office LAN, as expected. Of course Service Packs typically don't promise much in the way of spectacular feature or performance improvements (just look at the name! ), but in the case of Vista SP1, there is actually a printing-related enhancement, per Computerworld. Terminal Services printing is improved, specifically when using a printer that's local to a machine from within a Terminal Services session. Now if only I knew what that means! A recent Personal Tech Q&A in The New York Times highlights an example of at least part of the "Free" printer phenomenom that I blogged about recently (see "Observations: Do printers fit with this new 'Free!' thing?"). In this case, it's a reader who's stumped about usability issues with a free HP (NYSE HPQ) printer (actually from the sounds of it an all-in-one, as the issue relates to scanning), and the helpful response provides a little editorial commentary on "free" printers. items offered free or as heavily rebated bonus items are sometimes models that are on their way out of production. And while these printers are perfectly fine, the software CD that comes with them may contain outdated drivers and supporting programs for scanning, copying and other tasks. Observations: Do printers fit with this new “Free!” thing? Do printers fit with this new 'Free!' thing? Chris Anderson, author, journalist, and editor-in-chief of Wired magazine, is on to a new trend. His cryptic label for the trend is simply "Free," and as I read about it and sorted through all the associated comments and discussions, I had that familiar feeling that once again an important new technology and social trend was on the horizon, but what wasn’t as clear is whether printers get to "come outside and play." By way of context, Anderson is the author of the famous article, "The Long Tail", that originally appeared in Wired magazine in October 2004, and which he then developed into a full-length book which was published in 2006 entitled, "The Long Tail: Why the Future of Business Is Selling Less of More." Anderson also has a blog, thelongtail.com, where he has been introducing readers to his new ideas, which center around the tremendous growth in "free" products and services and the business models that rationalize and support them. He is also working on a new book for publication in 2009, and the cover story of the March 2008 Wired magazine features a 6,000-word preview entitled, "Free! Why $0.00 Is the Future of Business." Coincidentally, this business and marketing trend was included, by name, in the Lyra 2008 Imaging Symposium. Steve Hoffenberg, director of Consumer Imaging Research for Lyra, hosted a panel and gave a presentation called "Beyond Prints: Evolving Photo Printing Opportunities," where he used Long Tail concepts to describe myriad personalized specialty items now available to photo-loving consumers—think t-shirts, mugs, tote bags, and mouse pads, among others. With that connection in mind, it is fascinating that Anderson’s Wired article starts out in similar fashion to a presentation from the Lyra 2005 Imaging Symposium. In that speech, entitled "Digital Imaging Business Model Evolution," the speaker took on the razor-and-blades model that is so often used in the printing and imaging industry with respect to the way printers and supplies are priced. He compared the hard copy business, literally, to the real razor-and-blades business and its new product introductions and price points over the last few decades, as implemented by Gillette, the industry leader. In Anderson’s article, though, he has gone even farther back, and in fact leads off his piece with a description of the company’s namesake, King Gillette, and the original innovation of razor blades as an improvement over the incumbent straight razor near the turn of the 20th century. Starting with the real innovation, business-wise, of the idea of giving away the razor and selling the blades, Anderson uses examples such as free cell phones and their monthly service plans and video-game consoles and the games themselves, as high-tech examples that are carrying on the legacy of Gillette. Regrettably, Anderson never quite brings printers and supplies into the discussion, which prompted memories of our industry being left out of major press stories as described in my recent Observations column. Being aware of this "free" trend, and representing the printing and imaging industry, I am here to “elbow in” on this newest phenomenon, and as Anderson points out in a February 25, 2008, post on his Long Tail Web site, "This is the start of my explorations of the world of FREE, not the end." Some historical industry anecdotes of our own help make our case for the inclusion of the printing and imaging industry in the "free" discussion. One instance that comes to my mind involves Dell and the firm’s entry into the printer business with a lineup of competitively priced ink jet and laser printers (Observer, 4/03). Not long after Dell's printer launch, industry rumblings surfaced about Dell PC customers receiving mysterious "free" ink jet printers with the computer shipments they ordered through Dell’s direct channel. It was surmised by some that this was not a mistake, but rather an effort to build an ink-hungry installed base of Dell printers. After all, if it makes sense to follow a strategy of selling a low-end ink jet printer and taking a small loss, offering "free" printers is really only just taking a little bit more of a loss. While I have no data to know if Dell's practice of "free" printers continues, the next closest thing is the common 'free printer, after rebate" offer. These offers are not hard to find and are typically included with the purchase of a desktop PC, laptop computer, or digital camera. Reflecting on our business, what is the future of the practice of free or nearly-free "cross-subsidized" printer sales, in the parlance of Anderson? No less formidable industry players as Kodak and Xerox made well-documented attempts to reverse the balance, with higher-priced printers and lower-priced supplies during the last year, and have so far experienced mixed results, at best. Other companies, continue to struggle with how to participate in the very low end of the ink jet and laser printer markets. And while the question of whether to participate at all remains, the attraction seems to be nearly irresistible over the long term for many printer OEMs. Bringing the discussion back to Anderson and his "Free" theories, the article goes much farther in describing and categorizing various free-enabling business models and asserts that the cross-subsidized razor-and-blades idea is only the beginning. As applied to Gillette, Anderson looks ahead and speculates: "It’s as if the price of steel had dropped so close to zero that King Gillette could give away both razor and blade and make his money on something else entirely. (Shaving cream?)" In fact, this remark brings us to a hypothetical question for the printing and imaging industry that is maybe not quite so theoretical as it used to be: With nearly-free toner and/or ink to go along with nearly free printers, on what other profit-generating business can the hard copy industry base its future? Earlier this week, HP gave a pre-Drupa preview of a number of their new Graphics Arts offerings to be shown for the first time at the giant commercial printing show later this year. (See "HP Targets Multi-billion Dollar Graphic Arts Market with New Digital Printing Technologies".) The most interesting (and biggest!) of the new products/solutions is the HP Inkjet Web Press (see photo), a multi-million dollar commercial press slated for first deliveries in 2009. Quite a device! And while HP (NYSE HPQ) got its share of "ink" with the new Graphics Arts devices, some of the business press has been picking up on some further rumblings at the lower end of the business that we follow more closely in this blog. Rex Crum of Marketwatch and The Wall Street Journal covers the pre-Drupa announcement and sees the high-end effort as a potential antidote to recent results where HP "has seen some signs of increased competition and slowing growth" in its traditional printer businesses. And Brian Womack of Investors Business Daily has a story entitled "HP Rivals Work To Refocus Printer Market With Cheaper Ink — And Pricier Hardware", where he looks at the efforts by Eastman Kodak Company (NYSE EK) and Memjet to change the business model that HP and other industry incumbents have established, offering consumers a somewhat pricier printer but with much cheaper ink. Offset printing methods have been adapted for printing electricity-generating solar cells for some time, drawing significant media attention and venture capital. "Based on the Economics of Printing" is the headline, in fact, at the home page of industry leader Nanosolar. And this week news comes that another industry player, Konarka Technologies, and also with major venture backing, announced inkjet printing of solar cells. The recently published paper, in Advanced Materials, is entitled, "High Photovoltaic Performance of Inkjet Printed Polymer:Fullerene Blends" and is authored by Dr. Stelios A. Choulis, Claudia N. Hoth, Dr. Pavel Schilinsky and Dr. Christoph J. Brabec, all of Konarka. While visionaries and optimists may picture the impending availability of "print at home" kits for cranking out your own solar cells from your trusty Deskjet, it's safe to say it's going to be awhile for that to happen. But this quote from Konarka's press release gives a glimpse into another side of inkjet that those of us in the printer industry might not be aware of. Inkjet printing is a commonly used technique for controlled deposition of solutions of functional materials in specific locations on a substrate and can provide easy and fast deposition of polymer films over a large area. The demonstration confirms that organic solar cells can be processed with printing technologies with little or no loss compared to “clean room” semiconductor technologies such as spin coating. The most popular printing tool for organic electronics, inkjet printing could become a smart tool to manufacturer solar cells with multiple colors and patterns for lower power requirement products, like indoor or sensor applications. Inkjet printing is considered very promising because the polymer devices can be fabricated very easily because of the compatibility with various substrates and it does not require additional patterning. Forbes excerpts piece on Kodak from "Strategy and Innovation"
Scott D Anthony describes some of the key elements of "Kodak's Disruptive Bet" on Forbes Online, in a great excerpt from their "Strategy and Innovation" newsletter. Consumers definitely gripe about the high cost of inkjet cartridges. Yet it is unclear whether those high costs actually inhibit home printing, particularly of pictures. Perhaps the complexity of the picture printing process--not the cost of the inputs--stops home-based printing. Also, Kodak's strategy assumes that consumers consider total ownership costs when making purchasing decisions: Kodak's printers actually cost more than comparable printers offered by HP, Lexmark (nyse: LXK - news - people ) and Canon (nyse: CAJ - news - people ). While corporate purchasers controlling large budgets carefully consider total cost of ownership, it is less clear that multi-year ink purchases factor into consumer purchase decisions. Also put forth is the competitive response by HP (NYSE HPQ) to Kodak's "cheap ink" -- a lower-priced cartridge with a much lower quantity of ink -- effectively a price increase! In a broad offering focusing on both hardware products and small business solutions, HP (NYSE HPQ) is out today with a new array of both inkjet and laser printers and accompanying programs. It's also interesting to check out the new "Marketing Impressions" web site and its blend of the new and the old. Interesting too that it shares its name with the recently-launched HP blog found in my blog roll to the right. 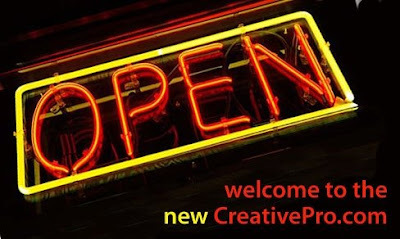 CreativePro.com is up today with a redesigned web site that features, in the words of their press release, "print and Web designers, photographers, and other creative professionals easy and free access to each other and to valuable how-tos, reviews, news, products, and services that help these pros reach their business and career goals." In addition to today's news, I find some tidbits to be quite interesting, regarding CreativePro and their history. The site has been a resource for design professionals since 1999, and at one point was owned by ImageX, a Seattle-based firm that was one of several of the original Internet-based printing companies (Noosh is another that comes to mind). While ImageX is now no more than an historical footnote, CreativePro survives and thrives, as a subsidiary of PrintingForLess.com, the Livingston, MT-based company I've blogged about here in the past, beginning with my May 2007 Observations print column, "The Year of Small Business". Which brings us to the interest here. As SMB print jobs are shifting both back into the office and to easy-to-use remote shops like PrintingForLess, the areas of graphics arts and design may become at least a part of the job for more and more office workers and entrepreneurs. Thanks for CreativePro.com's editor-in-chief Terri Stone for clarifying both the site's interesting history and its current mission as the site "where creatives go to know". Worth a look!